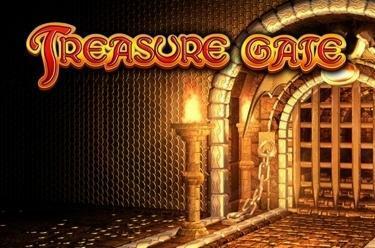 Play Treasure Gate™ online for free now! 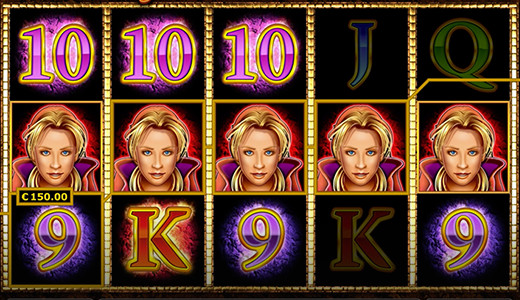 Your hunt for gold in Treasure Gate™ happens on 5 reels and up to 20 win lines. The treasure guard is the most valuable symbol in the game and she features a useful additional function. The aim in this game is to land 5 matching symbols along one of the 20 win lines. If the treasure guard appears on the reels she matches any symbol in this game except for the Scatter, the gate. 3 or more gates (Scatter symbol) regardless of their position on the reels trigger 15 free games for you. If 3 or more gates have landed the guard starts your free games. First of all, she randomly selects a magic symbol that substitutes for any other symbol in this slot except for the gate during the free games. The magic symbol appears stacked. Dive deep into the world of fairytales and myths with the mysterious Treasure Gate™. Watched by the treasure guard herself, the golden gate is rumored to be deep in the jungles of the old continent. Apart from majestic swords and secretive relics, with a little luck even huge amounts of concealed Twists are waiting for you. So, what are you waiting for? Begin your expedition to the Treasure Gate™ and make history!